Harlan Levine, a member and founder of the firm, was the General Counsel of Di Giorgio Corporation and White Rose Food for many years. 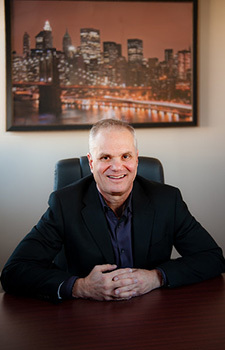 In addition to his experience and expertise in the food industry, Mr. Levine represents diverse business clients in many different areas of the law including the formation, purchase and sale of businesses; the purchase and sale of real estate; leasing; contract drafting, review and negotiation; banking and finance; secured transactions; software acquisition and licensing; labor and employment; industry relations and regulatory compliance. Associates at the Levine Law office regularly handle litigation for the firm’s clients; others handle estate planning and other personal matters. Mr. Levine strongly believes that in order to properly represent a business client, it is essential to gain a comprehensive understanding of their business. His vast experience enables Mr. Levine to counsel business owners in many aspects of their businesses beyond just legal matters. To supplement his business life, Mr. Levine serves as Vice-Chairman of the Board of Trustees of School News Nationwide, a not-for-profit entity that teaches personal skills and provides journalism and media training to New York City school children. Mr. Levine received his J.D. from Brooklyn Law School and a B.S. in Finance from New York University. He is licensed to practice law in the states of New York and New Jersey.